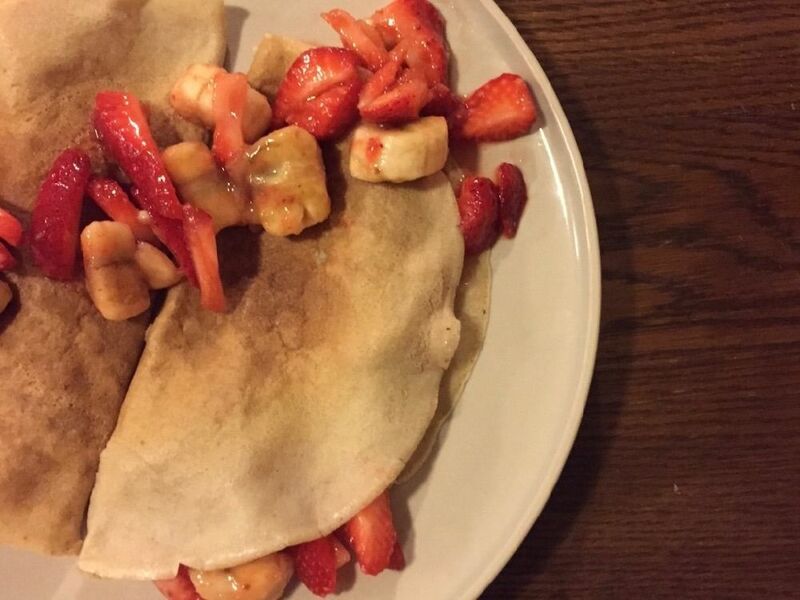 This gluten free pancake is a favorite now with my partner needing to stay off gluten. When I just need to treat muself with a comforting breakfast or desert, a pancake does the trick. So what is a pancake? In Australia we first had English style pancakes, thin with no baking powder, then more recently we have been taken over by the fat American pancakes, with a thicker batter and baking powder added. Here is my truly delicious and healthy alternative to the traditional wheat pancakes. The gluten free flour in this recipe is made from whole seeds and grains with quality nutrition. These gluten-free pancakes with berries and cashew cream or simply sprinkled with lemon and rapadura or coconut sugar. Add all ingredients, except for 1 of the 3 tablespoons of the oil, to a bowl and whisk well until totally smooth. The ingredients may also be added to a blender to make it extra easy. Pour the gluten-free pancake mixture into a non-metal jug and put in the refrigerator to rest for half an hour or even overnight. Heat a heavy frying pan to a medium-hot heat. Make sure the pan is hot before adding 1 teaspoon of the oil and allow to heat. Pour 1/3 cup of the mixture into the pan and allow the batter to spread by tilting the pan around its edges. Cook for about 1 1/2 minute or until small bubbles form and the base is browned. Flip and cook the other side for a further minute seconds. Remove the pancake to a plate and repeat the cooking until you have all that you can eat. Makes 16 pancakes. Serve 2 of the gluten free pancakes in any way you like… with fresh berries and banana with lemon and rapadura is amazing, or just lemon and a sprinkle of a whole food sugar such as rapadura or coconut sugar.